An automated speech analysis program correctly differentiated between at-risk young people who developed psychosis over a two-and-a-half year period and those who did not. In a proof-of-principle study, researchers at Columbia University Medical Center, New York State Psychiatric Institute, and the IBM T. J. Watson Research Center found that the computerized analysis provided a more accurate classification than clinical ratings. The study, "Automated Analysis of Free Speech Predicts Psychosis Onset in High-Risk Youths," was published today in NPJ-Schizophrenia. 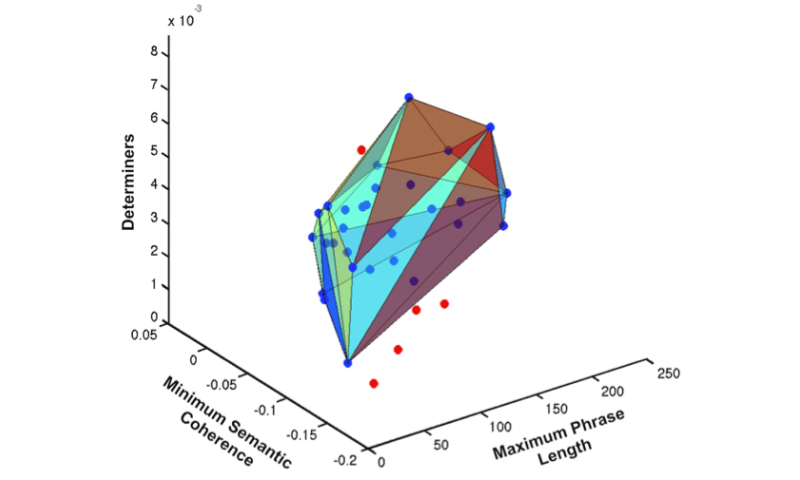 The analysis established each patient's semantic coherence (how well he or she stayed on topic), and syntactic structure, such as phrase length and use of determiner words that link the phrases. A clinical psychiatrist may intuitively recognize these signs of disorganized thoughts in a traditional interview, but a machine can augment what is heard by precisely measuring the variables. The participants were then followed for two and a half years. More information: The title of the paper is "Automated Analysis of Free Speech Predicts Psychosis Onset in High-Risk Youths."